The term "Pow Wow" originated by the early settlers observed the gatherings and often heard a particular word that refers to the Medicine Man. The Medicine Man is a very important person in the community and he was always greeted by most of those gathered. This name was heard at almost all gatherings and was misinterpreted by non-Native people to mean a gathering. A Pow Wow is many things to many people. It is a time to thank the Creator, honour our warriors, meet old and new friends, share and enjoy the rich heritage and culture of our people as well as an opportunity to display or purchase arts and crafts. The Pow Wow concept has not changed over thousands of years since their beginnings on the western plains of Turtle Island (North America). We are told by our Elders that in the beginning, the gatherings were usually held in the spring and the fall when people from various nations would gather. Over the years, the look and style has evolved to include English as well as other cosmetic changes such as colourful regalia. However, the cultural importance for the celebrations have remained the same. 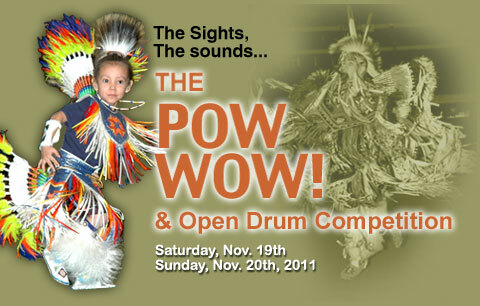 The Pow Wow is an important vehicle for handing down Native traditions from one generation to the next. It is also an excellent opportunity for all people to participate in a vibrant and vital aspect of Aboriginal heritage.